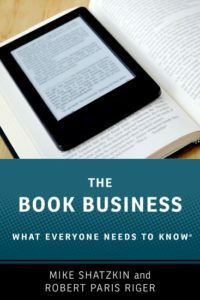 Two pieces of news this past week and how things play out with them might foretell some things about the direction of the ebook market. One news item is that reading on phones is really taking off. More than half of ebook consumers use their phones at least some of the time and the number that primarily read on phones is up to one in seven. It was less than a month ago that Holtzbrinck made that announcement and we figured Random House wouldn’t be far behind. A lot of theories about ebooks are about to be tested. If you really use a Personal Digital Assistant each day, are among the growing number that carry one with you all the time, you don’t need anybody to explain the value and utility of ebooks. The converse of this is that if you don’t use a PDA regularly, ebooks are of very little value to you. There is some minor utility to having a book and reader software on your notebook, but not much. It might have been that search for more “value” in ebooks that drove years of experimentation in making them something more than screen-fitted rendering of text, trying to add functionality using digital capability in a long succession of commercial failures. 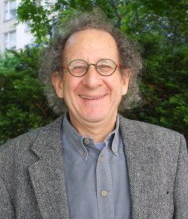 My friend, Joe Esposito, one of publishing’s more imaginative thinkers, identified and named the concept of “interstitial reading” some years ago, by which he meant grabbing a few minutes with a book on a check-out line or waiting for the movie to start. I remember a former neighbor of mine who always had a book in hand when he got in the elevator on the 14th floor and read a page or two as we descended to the lobby. That was a peculiar habit with a printed book; it is going to be increasingly common practice as more of us read on hand-helds we always have in our possession. It could be that publisher Judith Curr of the Atria imprint at S&S is hitting the nail on the head when she predicts that the future of reading is on phones and paper. An important question going forward is how reading on the phone will affect the shopping patterns. Here we have an interesting dichotomy which depends on the individual use case. What kind of phone do you have, Apple or Android? And which ereading ecosystem do you prefer, Amazon Kindle, Apple iBooks, or somebody else’s like Google or Kobo or Nook? Here’s why it matters. When you use the iBooks app on an iPhone, you can shop for books right in the app. I haven’t done it except to buy a book I knew I wanted. I usually read on the Kindle app and occasionally on the Google Play app. In both cases, I do my shopping from my PC on the Kindle or Google Play site. My purchase is instantly accessible on my phone after I make it, but it is a two-machine process for me to buy. The limitations on iOS devices are created because Apple insists on its 30 percent cut for sales made within their apps. Android doesn’t, so the Android versions of apps do allow shopping within the app. Still, as with almost everything, it appears that more content-purchasing and consumption takes place among iOS users than Android users. One would expect that as phone reading increases, it will tend to favor the “home stores” for the phones themselves. Those are iBooks and Google Play. This is obviously not any sort of mortal blow to Kindle if my own experience, maintaining the Kindle habit almost uninterrupted, is any guide. But it is definitely a bit easier to buy within the app you read in than to have to go outside of it. If is an often-made point that phones come with built-in distractions of email and text messages arriving all the time. But tablet computers — which have steadily been taking ereading share from print and dedicated ereading devices for some years now — have email arriving all the time too. And tablet computers offer the whole web as a potential distraction too, just like the phones do. I’m not sure that the distraction component has changed that much recently during the rise of phone ereading. And there are already lots of writers who do very short chapters (like the bestselling one of all, James Patterson) that readily satisfy the “interstitial reading” windows. It will take an analysis that there is probably no obvious metadata for to decide whether books that are already “chunked” benefit from the movement to phone-reading. New reading habits do spawn publishing initiatives. Our friend, Molly Barton (longtime Penguin digital director), has a publishing startup called Serial Box that plans to parcel out long-form novels in self-contained chunks. But one publisher after another has concluded that watermarking (what is often called “soft DRM”) is all the restraint on pass-along and casual sharing that is needed. Now all the big publishers will work that way. My friends in Germany tell me that there are still small publishers who want to keep DRM, which they will probably be enabled to do for some time. In fact, the Adobe DRM holds the information about who is a valid purchaser, so it might not be simple for retailers to walk away from it even after the locks are no longer required if they want to do more than guess whether a customer wanting to re-download a prior purchase is actually entitled to. And it might be very difficult for the market to totally dismiss DRM, if the English-language publishers still want it applied to the English-language books sold in Germany. That’s substantial business and the retailers — particularly Amazon — wouldn’t want to force a situation where the output of US and UK publishers must either be DRM-free too or not available in the German market. It has always been the concern of many publishers, agents, and big authors that removal of DRM would result in unfettered sharing which could really hurt book sales. A longtime DRM skeptic, publisher and industry thought-leader Tim O’Reilly, once characterized DRM as “progressive taxation”, which would seem to validate the notion that big authors have something to worry about. (O’Reilly publishes professional content which changes and updates often; precisely the opposite, from a fear-of-sharing point of view, of what James Patterson publishes.) Clearly, German publishers observing what has happened in their market don’t share that fear. American publisher and part of the Holtzbrinck publishing group,Tom Doherty, has also talked publicly about the (lack of) impact of Tor’s switch to DRM-free: “…the lack of DRM in Tor ebooks has not increased the amount of Tor books available online illegally, nor has it visibly hurt sales”. Aside from increasing the potential to lose sales through pass-along, the other impact of removing the DRM requirement could be to make it easier for anybody to be an ebook retailer putting content on just about any device. The necessity of providing DRM has always been blamed for cost and technology barriers that kept retailers from going into ebooks in any casual way. Theoretically, the cost of being an ebook retailer in a DRM-free environment could be much lower, including a claimed and hoped-for diminution of customer service requirements. If true, that could be especially important for ebook sales in verticals, where a range of content could be a sensible add-on for a retailer’s offerings. People who sell hard goods don’t want to deal with DRM and the customer service requirements it creates. The tech details of this run deeper than my personal knowledge, but people whose sophistication about it I respect caution me not to expect that much change in this regard. Watermarking (“soft” DRM, or DRM without “digital locks”) is also non-trivial from a tech point of view. New reading systems could proliferate without DRM-discipline, which could also create customer service requirements. It could be the claims for ease-of-use without DRM will turn out to be overblown. We will see. It has always been my contention that the DRM discussion was more heated than the effect really warranted. Since I never really wanted to move an ebook from one ecosystem to another, or pass an ebook along to somebody else, DRM never got in my way. But it was also obviously blocking entrants from joining the ebook retailing ranks and creating major customer service issues for any independent efforts. The two things to watch in Germany are whether ebook sales, particularly for top titles, are maintained or softened in any way by pass-along and, at least as important, whether new ebook retailing really is enabled by ditching the DRM requirement. The watermarking will help publishers find the source of ebooks that end up being publicly pirated or posted. I wouldn’t expect some explosion of piracy, but there will certainly be a lot to learn. The chances are pretty good that what will be learned will lead to DRM-free coming to the English language as well in the next couple of years.